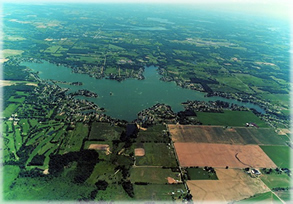 Lake Columbia is a private lake located in the beautiful Irish Hills area of Southern Michigan near Michigan International Speedway (MIS) and Brooklyn, MI. Proper Trash & Recycle Cart Placement. Only items placed inside the cart will be picked up. Need to get in touch with the association? Please use the contact form, send an email , or call the office at (517) 592-2361. Click on the button below and fill out the contact form or contact the office and give them your email address. This will save association funding that can be freed up for use elsewhere. Our LCPOA office is opened five days a week. For your convenience during closed hours, owners can mail, email, fax or use the front door drop-off slot to submit payments, vehicle and watercraft registrations, etc. If you need to obtain a ramp key, pick up watercraft or vehicle decals or submit building plans, etc., just stop in to the association office during our office hours. We are proud of our lake and want it to always be a healthy, fun, and relaxing place for everyone to enjoy. 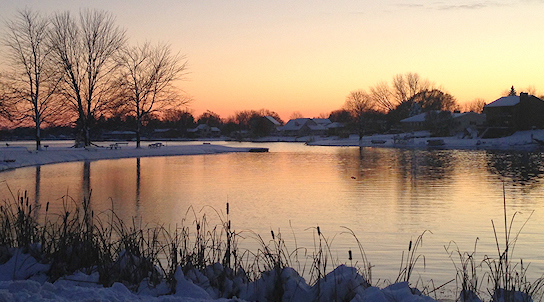 As we all know, Lake Columbia is one of the most desirable private lakes in Southern Michigan! Thank you for all that you do in helping to support our lake through your donations, volunteering your time, keeping our parks clean, participating in our community events and so much more! For more information or for any questions, please contact us.